Having an account in collections can be discouraging, not to mention disastrous for your financial health. Most companies will allow your account to be delinquent for a few months before they turn it over to a debt collections company since the debt collections company is their last resort to recoup money from you. But if you find out you have an account in collections, you need to act quickly to fix it. Follow these below steps if your account has been sent to debt collections. If you are working on paying off old debt, or if you did not realize you were missing payments on a bill, like a medical bill, you will need to deal directly with the debt collections company to clear up your old debt, not the original creditor. 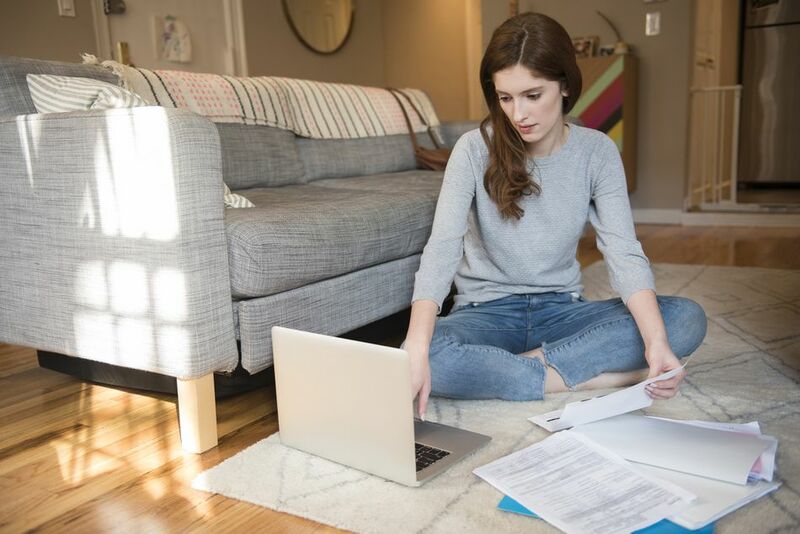 You will need to ask for a statement from the debt collections company that outlines the original amount of the debt, as well as any fees that have been added to your account. You may be surprised at the fees that can accumulate with an unpaid bill. If a collections company contacts you and tries to collect a debt on an account you do not remember having, be sure to request account information to ensure it’s really yours. By law, they have to provide you with more information, plus proof that the debt is yours. If you have enough money to pay off the debt in full, you should consider doing so. This debt will show on your credit report as paid in full, which can help raise your credit score by showing that you are cleaning up old debt and changing past habits. If you do not have the funds to pay off the debt in full, consider negotiating a debt settlement. Here's how it works: You offer the amount that you have as a single lump payment to serve as a settlement in full. This means that the amount you paid will clear the debt. But before you send in the payment, be sure to receive a formal letter that states that the amount paid will be considered settlement in full. You can also negotiate a payment plan with consistent payments each month until the debt is paid off. This will also help improve your credit score. Keep in mind that collections agencies aren’t perfect. Sometimes, they will just look for people who have the same name as what is listed on the debt, and begin calling all of them to find the person that owes the debt. They are not always careful about making sure they have the right person. This is why you need proof that the debt is yours before you begin making payments on that debt. The debt can even be attributed to your name and Social Security number but not be yours. In this case, it's usually because of identity theft. If you suspect this has happened to you, you need to file a police report and mail a copy of the report to the collections agency. This should stop the debt collection agency from harassing you until the issue is resolved. And never give the debt collections agency your full Social Security number. Rather, let the give you the last four digits of the number attached to the account and see if it matches up. There are laws that govern how collections agencies can collect money owed. These laws keep these agencies from harassing you or engaging in other similar behaviors. For example, once you have talked to them and explained the circumstances surrounding the debt, you are not obligated to answer their daily phone calls. They are also not allowed to tell other people about the debt. If you have established the debt is not yours, they should stop contacting you. If the debt is yours and they won’t work out an affordable payment plan, then you can always ask to speak to a supervisor. Keep in mind that if you do owe the debt and do not make payments on it, they can take you to court, which may result in garnishment of your wages until the debt is paid off. It is best to set up a monthly payment plan you can afford if you are not in a position to offer a lump sum payment to the agency. Once you have dealt with an account in collections, it is important that you take steps to prevent this from happening in the future. Start with a budget and work to pay down all of your debts as quickly as possible. Stop using credit cards, create a monthly spending budget, and stay current on your utilities and rent, to avoid getting into too much debt in the future. Taking control of your finances is the best way to ensure that you stay out of debt and never have to worry about debt collectors again.